Scholarship fund TheDream.US is likely pinching itself after receiving a $5 million donation from Facebook co-founder and CEO Mark Zuckerberg and his wife, Priscilla Chan. TheDream.US is a national college scholarship fund focused on undocumented immigrants, and it was created in June 2013 by former Facebook board member and Graham Holdings (formerly The Washington Post Co.) chairman and CEO Donald Graham, Muñoz & Co. chairman and chief creative officer Henry Muñoz and Bridge Project co-director Gaby Pacheco. Today, Priscilla and I made a $5 million donation to TheDream.US, a scholarship fund that helps undocumented young immigrants in the U.S. attend college. Hundreds of thousands of young immigrants are part of our communities and attend school legally in the U.S. Many of them moved to America early in their lives and can’t remember living anywhere else. They want to remain in the country they love and be a part of America’s future. But without documentation, it’s often a struggle to get a college education, and they don’t have access to any kind of federal aid. America was founded as a nation of immigrants. We ought to welcome smart and hard-working young people from every nation, and to help everyone in our society achieve their full potential. If we help more young immigrants climb the ladder to new opportunities, then our country will make greater progress. The investment Priscilla and I are making will go toward creating college scholarship programs for more than 400 young immigrants in the San Francisco Bay area over the next five years. 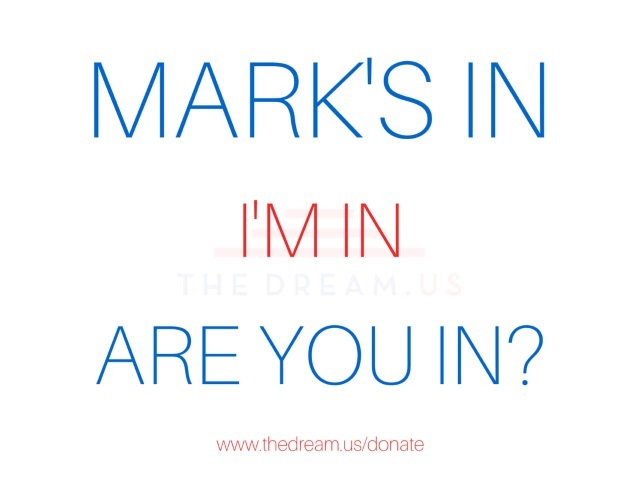 TheDream.US is a national scholarship program that has done amazing work under the leadership of Don Graham and others, and we’ve previously invested in their work. But we also wanted to help extend their efforts in the Bay area as part of our ongoing efforts to support social and economic programs in our local community. Over the coming years, our hope is to prepare hundreds of students to graduate with associate or bachelor’s degrees so they can build meaningful new careers. This is just a small step toward creating immigration and education solutions that help our community and country make progress. You can learn more about this program at http://www.thedream.us/. Readers: What are your thoughts on the donation?